Hi folks, Harmony here. It’s great to see you today. And, today being Martin Luther King Day, what better topic to talk about than the power of the pen? From the beat of a pen to the beat of a heart. One pen, one essay, one speech, one book, can change the world. The pen is the tongue of the mind. With it, we can achieve great things. As did Martin Luther King. Perhaps his best known speech is his ‘I have a dream’, in which he declared, ‘… today … will go down in history as the greatest demonstration for freedom in the history of our nation.’ And it most certainly did. At many points throughout a lifetime, we will go in search of words. Perhaps to mourn a death, cele brate a birth or a union, or maybe to offer a heartfelt thanks. Sometimes, these words come easy, and others not. And then there are those times when we feel that words fail us—or, rather, we fail them. We cannot come up with a single thing to express what it is that we need to express. At these times, we may look to others—such as the great poets—so that we might borrow from them. In real life, the words we come up with can often be clumsy or somewhat haphazard; especially in response to an event that has left us muddled, upset, and deeply moved in some way. So, instead, we turn to the printed page, to read from someone who has already found a way to say the essential. As writers, we offer our vision to those in search of words. Whether their need be one of escape or elegant elocution. Well-chosen words can have a profound and far-reaching effect. They can mend a damaged friendship, soothe a babe to sleep, comfort the bereaved, give solace to a hurting heart, mark an important rite of passage, and lavish a soul with love. A good book, or a single poem, or a solitary sentence, can transform a grey, rainy day into a glorious summer’s eve. It can give company to the lonely, and space to the crowded. Words can terrify or tantalise or tame. Our imagination knows no bounds, and when we allow it to spill onto paper, we give it wings and let it soar. To be a writer is to be a visionary, in varying degrees. The best thing is that this leaves us free to be utterly ourselves. The biggest mistake I made as a young adult was to believe that I had to be someone other. Only when I discovered who I truly am, did my inner visionary find life and voice. To chase somebody else’s dream won’t do you an ounce of good. The only imagination in your head is your own. Your words are your words. To be a visionary is to be true to your words, your heart, your vision. I have learned that this takes an incredible amount of trust. In myself, in my words, and in my vision. It also takes a thick skin, once we put ourselves out there in ebook and print, or even on a blog or social media. Actually, as soon as we open our mouths in public. Not every utterance has to be deeply profound to be moving or effective. Often, the simplest of language is what speaks the loudest. It is when we try to be clever that we usually miss the mark. Perfection and beauty are not perfectly balanced, but contain at least a small imperfection. Take a human face, for example; when you really look at it, you will see that not everything is in perfect alignment. Nature doesn’t deal in straight lines and symmetry. Nature flows, and is just what it says on the tin: Natural. When we sit and create just for the sheer pleasure of it, without trying to be someone or something, and let it flow naturally, that is when we find perfection. Not for nothing do they say that beauty is in the eye of the beholder. The way we see the world, is the way the world sees us. If not for the many books I devoured as a child, young adult, and now-not-so-young adult, I wouldn’t be who I am today. For eternity, I shall remain grateful to those writers who had the courage and vision to shine their lights and offer it to me on the printed page. Not all of their words were profound, but for sure, they offered a much-needed escape when things just felt too much. And then there are the books that did change my life. That rerouted me from definite disaster. They changed how I saw the world. They gave me options. A second chance. Many of these authors didn’t set out to write a lesson, share a moral, or pass on a message. Nevertheless, they each achieved something great. Something momentous. They shaped a life. Each and every time you search for the right words, you give life to vital, vibrant vision. Each and every word has the potential to change the world. Each and every time you allow your inner light to shine, it has the power to cast its glow into even the deepest, darkest night. From the beat of a pen to the beat of a heart. Super post, Harmony. A lovely representation of the power of the written word. An uplifting post and a great message, Harmony. What you said about searching for words at various points in our life really resonated with me. Harmony, this was a beautiful post. Thank you for sharing. I totally agree with you when saying,”If not for the many books I devoured as a child, young adult, and now-not-so-young adult, I wouldn’t be who I am today.”This is valid for me, too. An awesome food for thought post, Harmony! Congratulations! Very uplifting, Harmony. Thanks for this today. Great post, Harmony. Loved what you said about not trying to follow other people’s dreams. I think that holds true for writing. 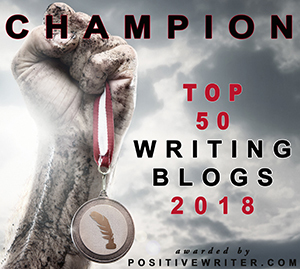 For me, it was only when I gave up writing what others thought was best and began focusing on my dream of writing fiction, that I knew I was on the right path.